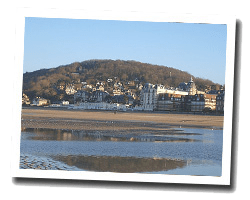 Called "Pearl of the Côte Fleurie", Houlgate is located in a privileged environment consisting of verdant cliffs. You can see Belle Epoque seaside villas. At the seaside you can find a pleasant sandy beach. Nearby, the cliffs of "Vaches noires" are a unique natural area for their ecological and geological interest. 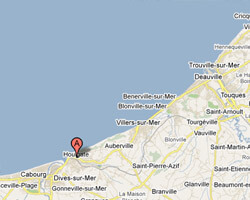 In Houlgate enjoy a seaview holiday rental. Renovated villa 250sq. m style 1900 on 3 levels, ideal for large family or friends. Parking in a courtyard for 5 cars, large terrace with direct access to the beach . Shops at 50m. No week-end rental. 7 Bedroom(s), 5 double bed(s). Final cleaning : 150 €. 1 Bedroom(s), 0 double bed(s). short stays possibility. Final cleaning : included. Price from 550 € to 1500 €. Price from 700 € to 1900 €. Price from 900 € to 2200 €. Villa 9 rooms 267m2. Close to the beach. terrace. balcony. 7 Bedroom(s), short stays possibility.